Bananas, like many fruits, release ethylene gas naturally, which controls enzymatic browning and ripening of not just itself, but other fruits nearby. Much of that release takes place at the stem, or the crown, of the banana. By wrapping the crown, you slow down the ripening process a bit. 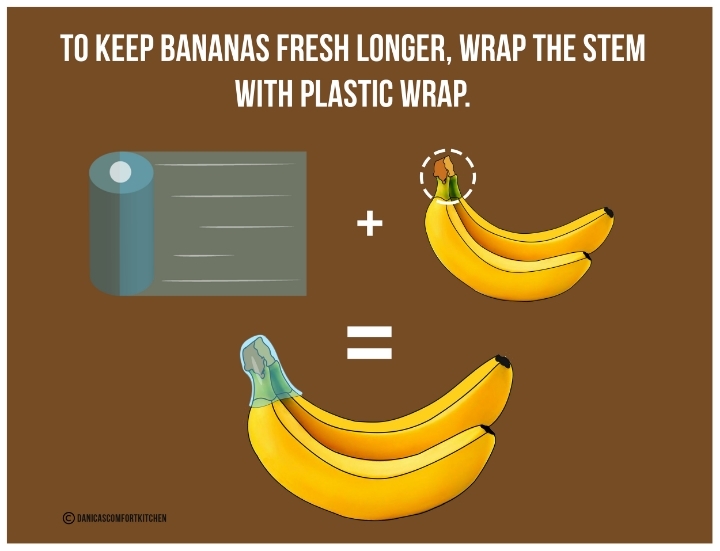 For best results, separate bananas and wrap the stems.